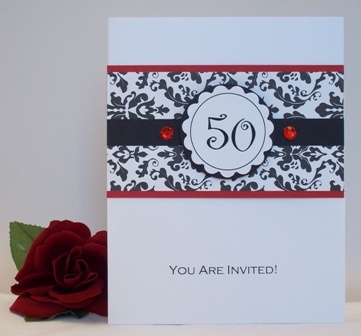 Create fun 50th birthday party invitations using black red and white. 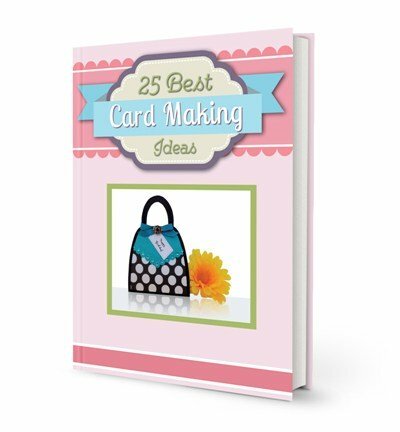 These homemade card ideas to make your own birthday invitations can be simple. 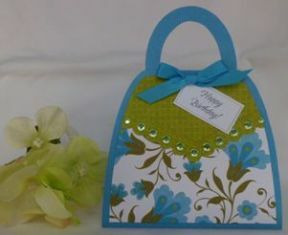 For this handmade card making project, I originally wanted to use chip board for the number 50. Creating birthday invitations usually requires making more than 1 invitation so it wasn't practical to use chip board letters and numbers since you only get usually one set of numbers with the pack. To help make this 50th birthday invitation less expensive, I decided to print the year and invitation message on my computer using a card making software program called Ecard Wizard. The program lets you create circles and then add text inside the circles which is what I did for this and my other homemade greeting card ideas. First I created a circle and added the number 50 inside the circle. Once I created the correct size that fit my scallop circle punch, I copied the final circle several times onto one page which helped me save paper. 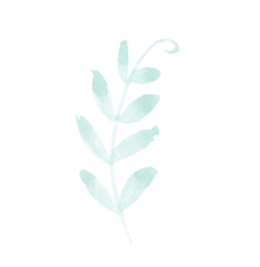 For my paper card making ideas, I try to use cardstock paper when printing my sentiment so that it's more opaque than if you used a regular sheet of paper. If you can't use cardstock on your printer for some reason, tape the sentiment onto another blank sheet of paper and cut out the two layers of paper together using your circle punch. 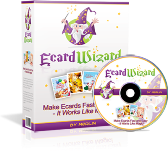 The "You Are Invited" text was also created using the Ecard Wizard. If you are using your computer, this is an easy way for personalized birthday invitations. Just add your own message or the name of the birthday boy or girl onto the sentiment. For your birthday invitation ideas, you can add a solid circle behind the scallop circle or you can use just the scallop circle by itself. I like using a solid circle on my cardmaking ideas because it helps create a border. I added foam tape behind the number 50 circle so that it "popped out" a little bit and gave this invitation dimension. Don't forget bling when you make birthday invitations. Adhesive gems help make the invitation festive and fun. I added red gems to each side of the circle so that it coordinated with the thin red stripe behind the black and white pattern paper. You can come up with lots of ideas for 50th birthday party invitations. Use this birthday party invitation template to make it easy on yourself or just look on the web, magazines, books and the card aisle at your neighborhood drug store to help inspire you. Here's another invitation idea using a black and white paper print. 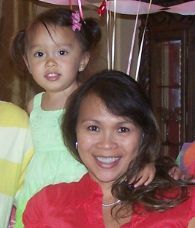 I used pink as a coordinating color. I added a bead that I turned around diagonally and used a hot glue gun to adhere it onto my invitation. I also used a border punch on pink paper.